Series director, Tetsuya Nomura, gives us one more reason to beat this potential must have game. Square Enix's Kingdom Hearts 3D: Dream Drop Distance won't appear in the U.S. until later this year, but the game debuts in Japan this March, and series director Tetsuya Nomura wants to make sure players watch the end credits. This is the first time we're doing this, but there's a surprise during the end credits. So even when the credits start to roll, don't put down your N3DS, and don't let your guard down! Now there's an interesting wrinkle. 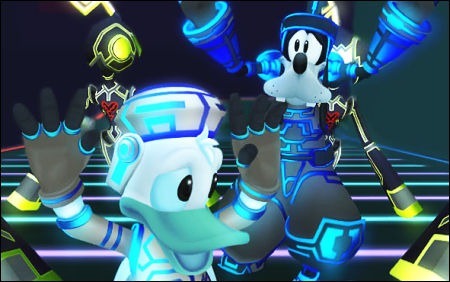 We've known for a while that KH3D serves as a prequel to the third installment, so perhaps this surprise will serve as a segue to that game. The fact that he says "don't let your guard down" also suggests it may involve combat of some sort. Yup, we'll definitely have to beat this one.